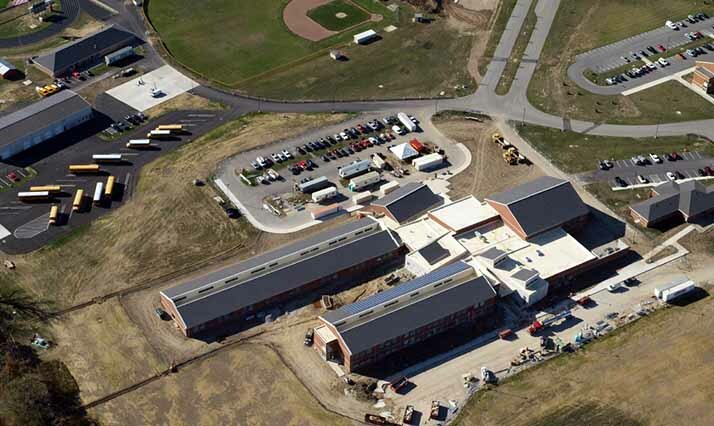 Quandel was chosen by Miami Trace Local Schools to provide construction management for the new Middle School, part of the Ohio School Facilities Commission’s Exceptional Needs Program. 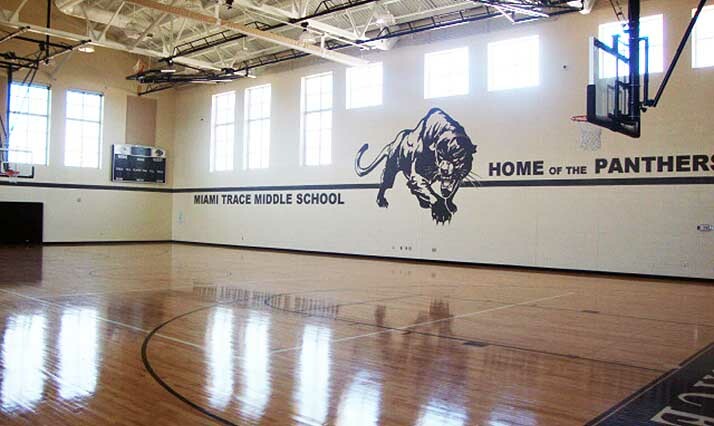 Designed to accommodate 675 students, the new Miami Trace Middle School is a centrally located school. 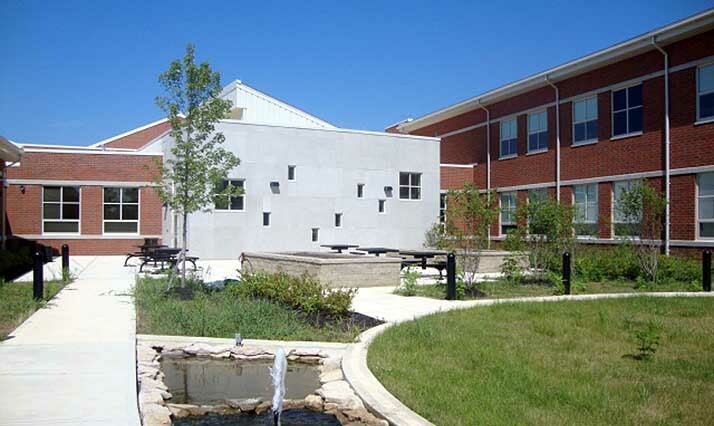 Featuring a brick exterior, sloped asphalt shingled roofs, Photovoltaic Collectors, energy management system, and luscious landscaping, it is the centerpiece of the Miami Trace Central Campus. 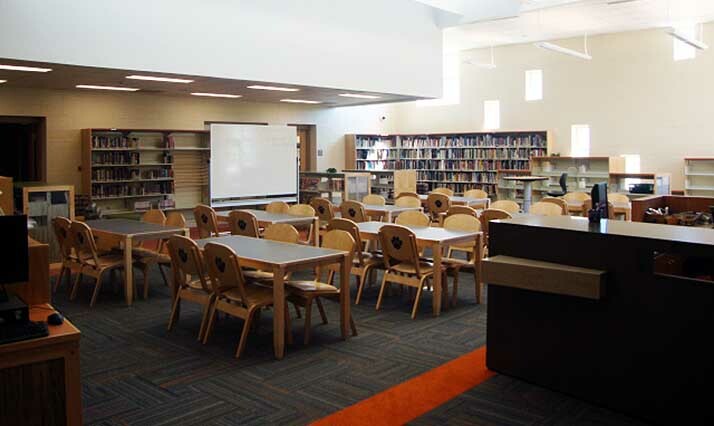 Interior features include day lighted classrooms with integrated energy saving dimmable light fixtures, geothermal heating and cooling, vibrant floor patterns, and boundless technology features. 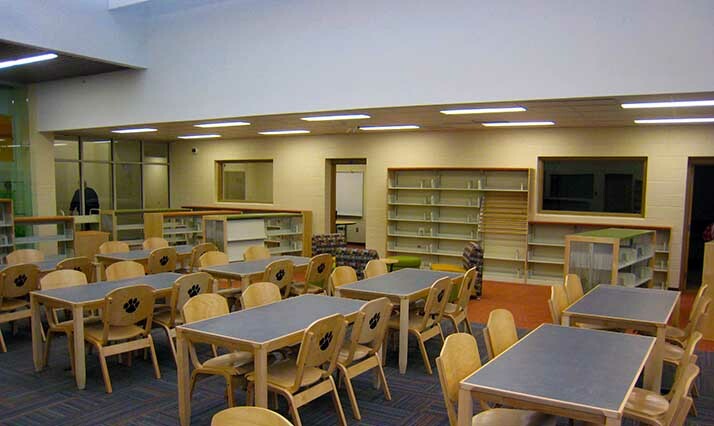 Other features include 50 classrooms, full kitchen and cafeteria, gymnasium, and state-of-the-art media center. 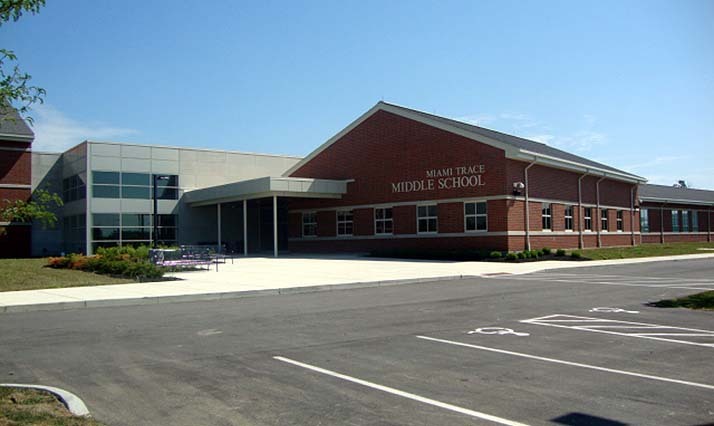 The Miami Trace Middle School achieved LEED® Gold certification through the U.S. Green Buildng Council.